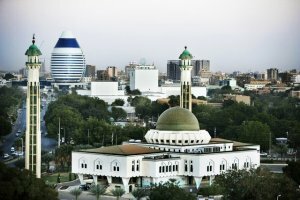 Sudan is one of the fastest-growing economies in the world. Sudan's economy boomed on the back of increases in oil production, high oil prices, and large inflows of foreign direct investment. Agriculture production remains Sudan's most-important sector, employing 80 percent of the workforce and contributing 39 percent of GDP, but most farms remain rain-fed and susceptible to drought. Instability, adverse weather and weak world-agricultural prices ensures that much of the population will remain at or below the poverty line for years. Sudan is attempting to develop non-oil sources of revenues, such as gold mining, while carrying out an austerity program to reduce expenditures. The world’s largest exporter of gum Arabic, Sudan produces 75-80% of the world’s total output. Primary resources are agricultural, but cotton, peanuts, Arabic Gum, and sesame seed production and export are taking on greater importance. Although the country is trying to diversify its cash crops, cotton and peanuts remain its major agricultural exports. Sesame seeds and peanuts are cultivated for domestic consumption and increasingly for export. Livestock production has vast potential, and many animals, particularly cows, sheep, and camels, are exported to Saudi Arabia, and other Arab countries. Sudan’s most important export is gold (70 percent of total exports) followed by livestock, oil, arabic gum, cotton, seeds, insect resins. Main export partners of Sudan are China, India, UAE, Japan, Saudi Arabia and Italy. Since the economic shock of South Sudan's secession, Sudan has struggled to stabilize its economy and make up for the loss of foreign exchange earnings. The interruption of oil production in South Sudan in 2012 for over a year and the consequent loss of oil transit fees further exacerbated the fragile state of Sudan’s economy. Sudan is also subject to comprehensive US sanctions. Sudan remains a net importer of food. Problems of investment finance, production and transportation remain the greatest constraints to a more dynamic agricultural economy. Sudan’s limited industrial development consists of agricultural processing and various light industries located in Khartoum North. In recent years, the Giad Industrial Complex in Al Jazirah state introduced the assembly of small autos and trucks, and some heavy military equipment such as armored personnel carriers and the proposed “Bashir” main battle tank. 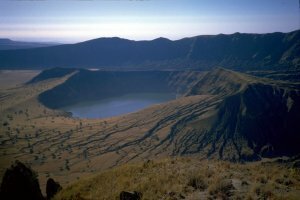 Although Sudan is reputed to have great mineral resources, exploration has been quite limited, and the country’s real potential is unknown. Small quantities of asbestos, chromium, and mica are exploited commercially. Sudan’s main imports are food, manufactured goods, machinery, raw sugar, packaged medicaments, rubber tires, wheat, cars. Main import partner is China (22 percent). Others include Brazil, UAE, India, Italy and Germany. Sudan is a country situated in the Nile Valley of North Africa or East Africa, bordered by Egypt, the Red Sea, Eritrea, Ethiopia, South Sudan, the Central African Republic, Chad and Libya. It is the third largest country in Africa. Sudan is a member of African, Caribbean, and Pacific Group of States, Common Market for Eastern and Southern Africa (COMESA), World Trade Organization (observer), World Customs Organization and other international organizations. All importers have to apply for an Import License giving the complete product details and approximate value of the total imports to the Ministry of Commerce in the prescribed form. In case the importer does not have an import license they have to pay a fee of 2% of the CIF value during customs clearance. For Imports through Kaya border the customs clearance has to be done at the border or at Yei. With regard to imports through Kapoeta the customs clearance can be done at the border or at Juba. Presently at Yei, customs are taxed under a tariff regime of 0 to 20%. At Juba the regime is from 0 to 45%. All vehicles custom cleared at Yei can also be registered at Juba. Import through Port Sudan by sea, Khartoum & Juba by air. All importers need registration in the Import/Export Registry at the Ministry of Foreign Trade. Tax exemptions are given to all imports made by registered NGOs, Government tenderers, specific projects and imports made under investment policy. Exemption is issued by both Central Government at Khartoum and GOSS Government. All commercial imports into Sudan require an IDF. When the importer applies for an IDF, the information to be filled in is provided by the supplier vide a Proforma Invoice. Specification and clear description of the quantity and quality of the goods. Free on Board ( FOB ) Value. Country of Origin of the goods issued by the competent authority in the country of origin. 2. Proforma invoice for transport and Insurance Certificate if not provided by the supplier. Importers must pay the required duties, taxes and fees and receive an official release order for the goods. Duties, taxes and fees are payable before releasing the goods except direct delivery goods. Sudan has no mandatory Pre-shipment Inspection. Importers are advised to have Pre-shipment Inspection Certificate issued by International Cargo Inspectors registered by SSMO (Sudanese Standards and Metrology Organization). Double check inspection might be conducted by the SSMO. Sudan does not apply any quantitative import regulations. All goods can be imported to Sudan except those, which are prohibited by social values or security considerations. Duties & Taxes Exemption Certificates, if any. Exportation in Sudan needs registration of the Exporter in Importers/Exporters Registry. Sudan applies the harmonized system for classification of exports, as in the case of imports. Export rates are ad-valorem, the export duty is 10% on cotton and gum Arabic, while on other products it is 5%. All these rates are on FAS value. There is also 1%-2% quay duty for Sudan Seaport Corporation and 1% for Civil Aviation. There are no quantitative or quota export restriction. No license is required for export, except when there is no remittance, in which case an export license is issued by the Ministry of Foreign Trade and the Central Bank, and the sales contract need to be stamped by the Ministry of Foreign Trade. Sudan has no indicative minimum export prices, which are based on the internal cost and world market prices. There are no voluntary export restrictions and no orderly market arrangements.